This elegant and rustic family room sofa will work to create a household environment of lived in comfort with an olden-day elegance. Designed to take after traditional trends, this sofa features a three-over-three cushion construction with pocket coil seating and plush padded cushions. Classic rolled arms and exposed wood legs add traditional accents for enhanced style, creating a look that is elegant with a slight rustic feel. 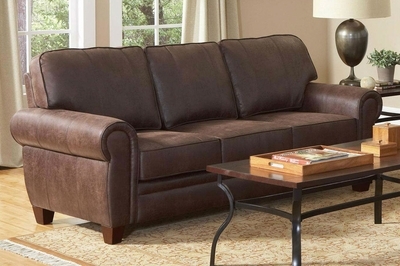 Complete with welt cord trim and tailored seam stitching, this living room sofa is sure to accent your home with a decorative style that boasts a lived-in family feel. 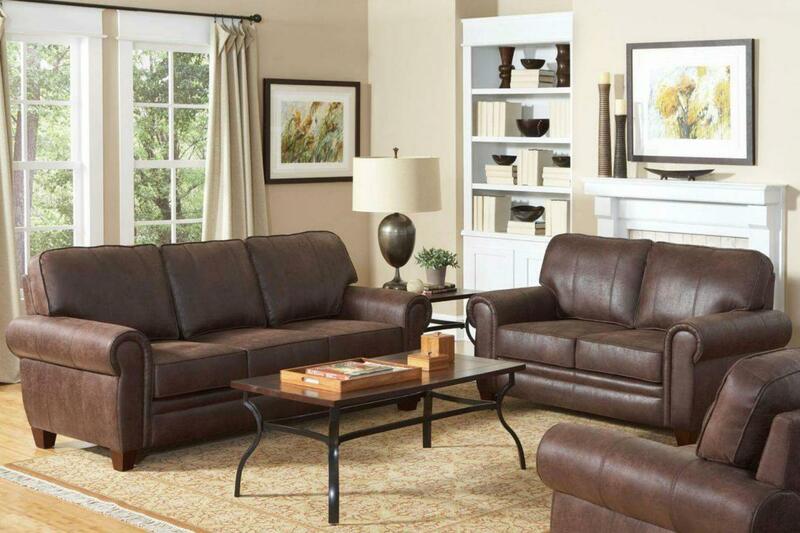 Pair this sofa with its coordinating chair and love seat to create a complete set.